The Grove at Bannon Lakes is now selling in St. Augustine! Single-family homes within a master-planned community surrounded by majestic oak trees. Complete with amenity center including pool, playground, dog park and more!Award-Winning Home Plans Browse our new home plans in The Grove at Bannon Lakes. Our award-winning home designs have been crafted down to the last detail, with your family in mind. Built using the most innovate construction advancements and green building techniques, our homes are built to help reduce your energy bills and operating costs. We also offer plenty of home customizations and add-ons, so your new home is perfect for your family and lifestyle.1,796 to 3,197 Sq. 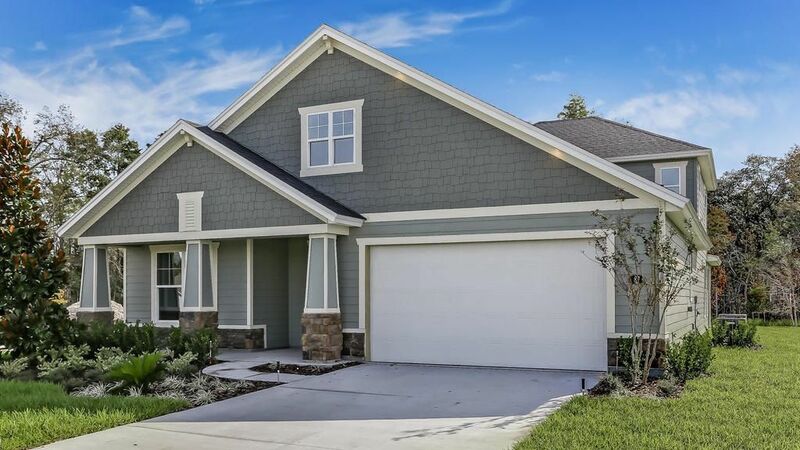 Ft.2 to 5 Beds2 to 4 Baths0 to 1 Half Bath1 to 2 Story Homes2 to 3 Car GarageMove-In Ready Homes in Saint Augustine, FL Don’t wait to move into your dream home! Browse our Quick Move-In Homes, built with the same level of quality and care you can expect in every house offered from Taylor Morrison. Many of our quick-move in homes are already loaded with the options and upgrades that will truly make it feel like home. Take on Home Ownership with Confidence at The Grove at Bannon Lakes with our Rate Roll Back Home ownership is a big step, but Taylor Morrison is here to help with our Rate Roll Back. Get into your dream home at The Grove at Bannon Lakes in Saint Augustine, Florida, for a dream rate and enjoy the stability and savings of a low 30-year mortgage rate. It's how we help you enter home ownership comfortably and confidently, but be sure to act now before this offer expires. Calculate monthly payments now.